There are hundreds of free Search Engine Optimization tools out there. I have selected 5 of what I think are the must robust and useful SEO tools on the web. Aaron Wall’s SEO for Firefox, is a Firefox extension that you can download and use on your Firefox browser. It was designed to append more data to Google and Yahoo’s search results for a quick and easy way to analyze your competitors. The great thing about this tool is it extremely customizable. You can tell the tool which data you want it to pull and which data you want to hide. Age:age pulled from Archive.org, shows the first time a page was indexed by Archive.org’s spider. The theory is that if Archive.org found a page so did many of the major search engines. del.icio.us:number of times a URL has been bookmarked on Del.icio.us. Heavily skewed toward techy / Web 2.0 stuff. Bloglines:shows you how many people are subscribed to a particular blog via Bloglines. WhoIs:makes it easy to look up the whois data for any site. Check out Aaron Walls YouTube videoexplaining how to use SEO for Firefox. This extension can be used in Internet Explorer or Firefox. 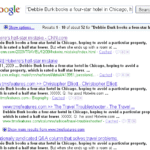 Similar to SEO for Firefox, it appends data to each search result in the SERP’s. One of the benefits to this tool is you can save the data to a csv file. 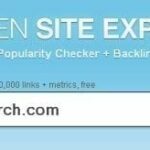 Rank Checker allows you to see where a given URL ranks in the search results for keywords and phrases that you choose. It pulls your ranking from Google, Yahoo and MSN. One of the great things about this tool is it allows you to run scheduled tasks. So you can set the tools to run every day, week or month. This is great for tracking the progress of your Search Engine Optimization efforts, to see if you have increased in search rankings. You can also save projects or “presets” so that you may run them whenever you would like. The “Export to CSV” feature is great when presenting to clients. It shows your rankings in a nice, clean format that is very easy to read and understand. If you would like to see a video from Aaron Wall explaining how to use the Rank Checker tool, see his YouTube video here. Website Grader is a SEO tool that measures the marketing effectiveness of a website. It provides a score that incorporates things like website traffic, SEO, social popularity and other technical factors. It also provides some basic advice on how the website can be improved from a marketing perspective. All you have to do is put the website you want to analyze, keywords/phrases that you are trying to rank for (optional), and other competitor url’s (oiptional). There are many “Spider Simulators” out there, however I feel this displays the information the cleanest. This tool will act as a search engine spider and crawl your website to show you what a search robot would see. This is a quick way to see if all of your pages are indexable or not by the search engines. This tool will also show you the content the spiders can see, as well as the meta data that is provided. If you run this tool and you do not see all of your pages listed, you could have a navigational problem that should be fixed ASAP.